Today is National Dress Up Your Pet Day. I’ll bet you didn’t know that. Of course I couldn’t let such a momentous occasion pass without some effort here on the Farm. 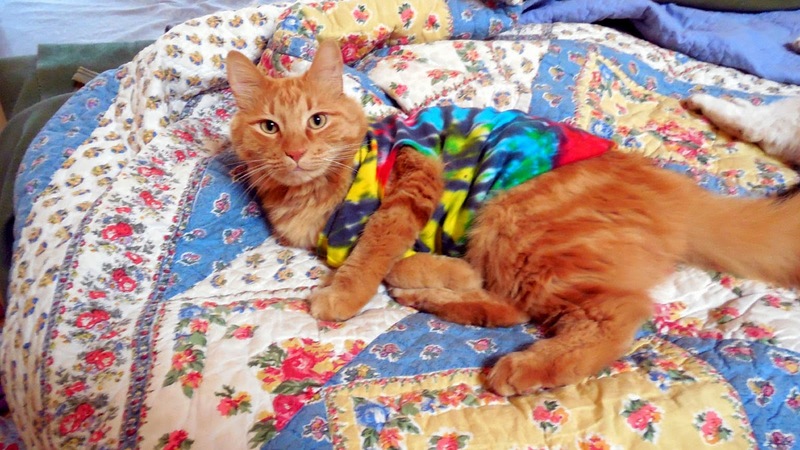 Sherpa the Farm cat is one cool cat and he shows that in his tie dye t-shirt. He looks rather relaxed, doesn’t he? I wonder if he is trying to impress the lady cats. I was somewhat surprised at how easy it was to get him to wear it. He didn’t give me any trouble about it and he went about his day. This is his “Blue Steel” look. I wonder if he wants to be a SuperModelCat. But there is something he doesn’t know. The shirt is not for him alone. It also fit another member of the Farm. At least at one time it did. 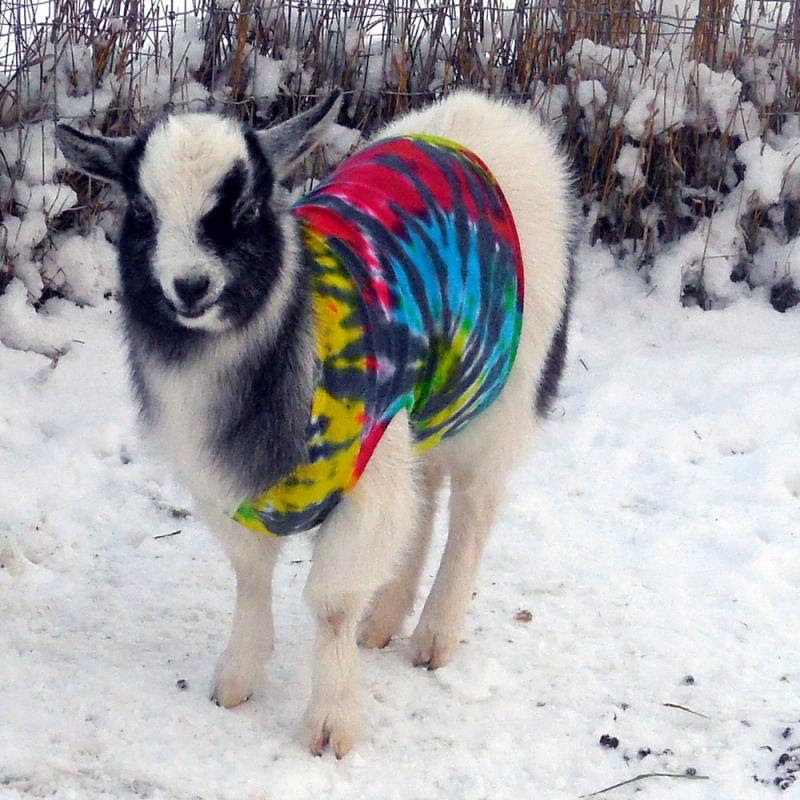 Yes, Bernadette the goat also wore the tie dye t-shirt. Of course this was when she was a bit smaller and less round. She is pregnant right now so the round is all in a good cause. She was not as happy to be dressed up as Sherpa was…..that’s all I’ll write. I hope you all have a wonderful National Dress Up Your Pet Day. 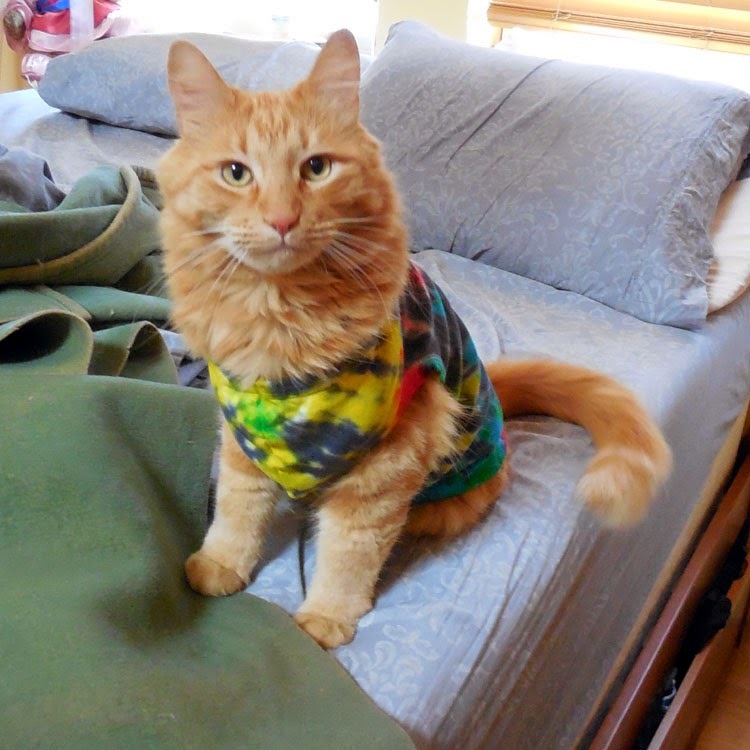 Are you dressing up your pet?